Pietro Nolita is probably the most instagrammable place we have ever seen! Everything from the sign to the seating is pink and we have fallen in love with the dreamy images on our social media feeds! The gorgeous 'Healthy Italian' New York restaurant is opening its doors this week, so if you're lucky enough to be in the big apple, we would definitely recommend a look! With just 28 seats, the new Italian Diner is a small boutique restaurant but with the hype already growing we're sure it's going to be packed every night! Restaurtanter Pietro Quaglia says that he wanted to open "his version of an Italian Diner" and although he keeps his lips sealed it's said that many of our favourite designers are making reservations for LFW! 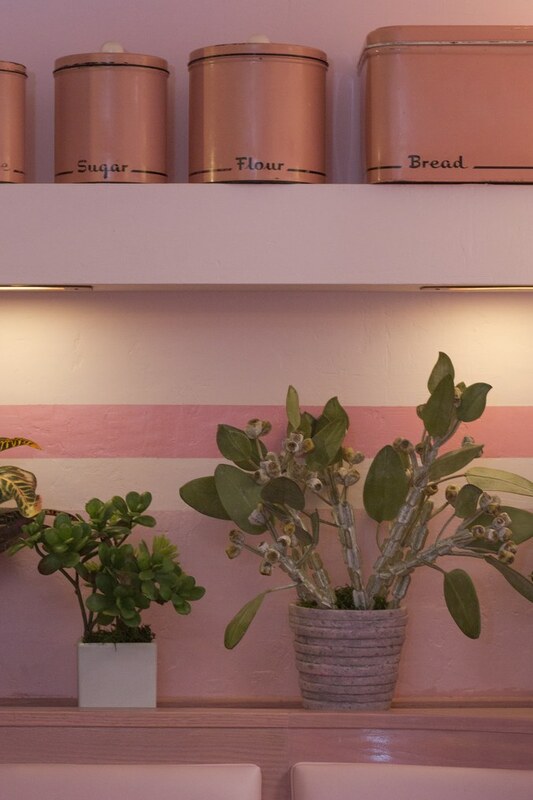 Everything from the walls, to the plates and bar stools is bubblegum pink, except for a few house plants and the vintage copper sugar tins, it's so dreamy! If you'd like to visit Pietro Nolita you can find them on 174 Elizabeth St, New York, 10012! For some more dreamy image inspo we recommend a quick look on their Instagram too! Older PostAn Exciting New Collaboration!